Here at The Corning Museum of Glass, our mission is to tell the world about an incredible material that captivates and excites us all—namely, glass! In order to fulfill that mission, we don’t wait for the world to come to us—although 460,000 visitors made their way to Corning last year—we take our story out into the world. The Corning Museum of Glass Road Show in Seattle, Wash. In 2002, we launched the Hot Glass Roadshow, a project that converted a semi-trailer into a fully-functioning glassmaking studio on wheels. We also transformed a standard shipping container into a studio space. 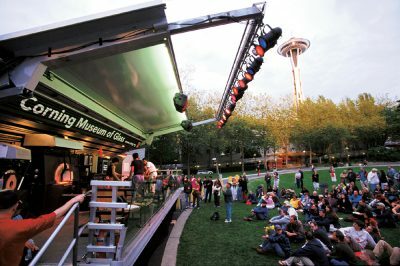 This unique equipment and its small footprint make it possible for CMoG to deploy glassmaking to nearly any environment. Our first deployment was the Winter Olympics in Salt Lake City and, since then, our mobile hot shops have traveled the world stopping in places like Paris, Seattle, South Australia, and New York City. We’ve even circumnavigated the globe aboard Celebrity Cruises, a partnership that began in 2008, and one that enables us to tell the story of glass at sea. 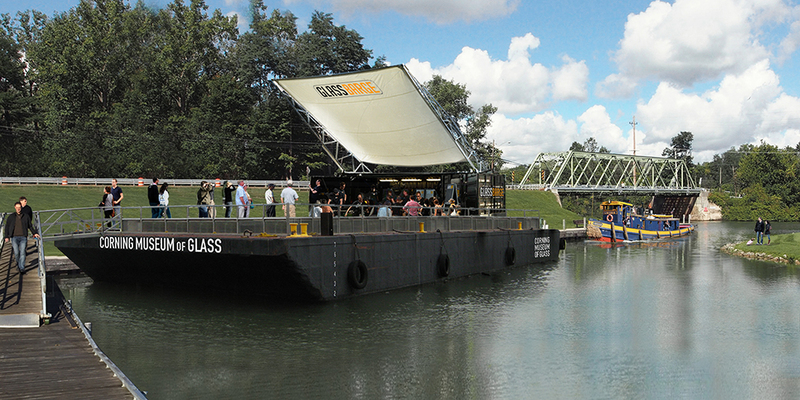 Rendering of GlassBarge on the Erie Canal. 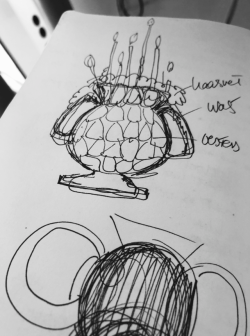 During a ceremony earlier this evening, the Museum announced plans for an all-new, world-class, movable performance venue, which will bring the story of glassmaking home to New York State. 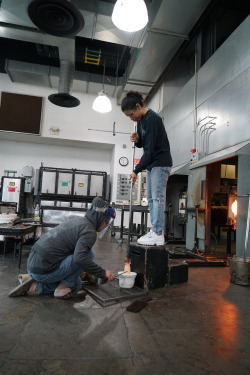 Starting in the summer of 2017, GlassBarge will visit waterfront communities along the Erie Canal and its connected waterways, and the Museum’s Hot Glass Demo Team will present free, public demonstrations with invited guest artists. Canal Days in Fairport, NY. The Museum has received several grants that have made possible 2017 stops in Fairport, Seneca Falls, and Syracuse, New York. These grants come through the New York State Canal Corporation, New York State Council on the Arts (NYSCA), and I ♥ NY. 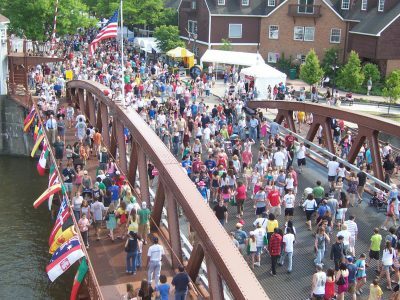 The 2017 GlassBarge deployments are a prelude to an ambitious statewide deployment in 2018, designed to celebrate the 150th anniversary of glassmaking coming to Corning from Brooklyn via the New York Harbor, the Hudson River and the Erie Canal. For more information about GlassBarge, visit www.cmog.org/glassbarge. I saw the Glass Barge in Brooklyn, a great idea and a great show. May you have clear sailing the rest of the trip!